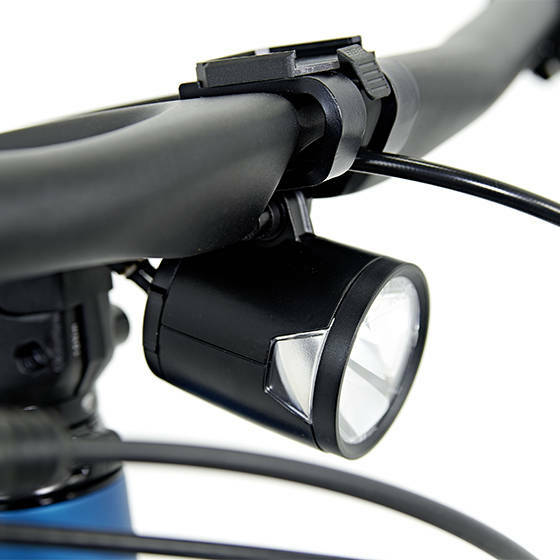 The handlebar and stem form a single unit that cleverly integrates the 60 lux headlight. 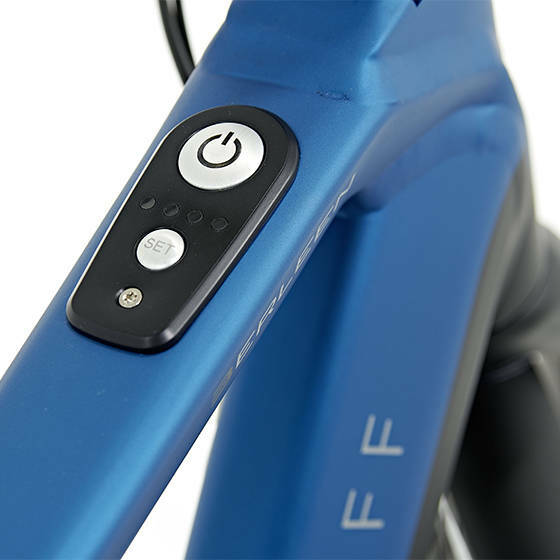 Easy to reach control panel in the top tube. 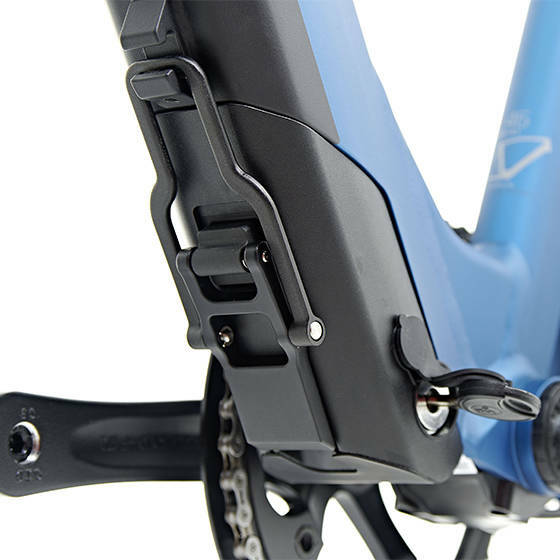 Includes Bluetooth module and free Display app. Removable and lockable slimline 20-cell battery. More than enough power for a day in the city.